WASHINGTON — The Department of Health and Human Services (HHS) has formally announced its proposed updates to its Title X funding program, which some note could disqualify some Planned Parenthood locations from receiving federal funds. The proposed rules would revert to the 1988 standard under the Reagan administration that disqualified family planning organizations that also perform abortions in the same building from receiving Title X funds. While grantees are already prohibited from using Title X funds for abortion, HHS believes that Clinton-era regulations allowing grantees to be “co-located” with an abortion facility are problematic. “[S]hared facilities create a risk of the intentional or unintentional use of Title X funds for impermissible purposes, the co-mingling of Title X funds, and the appearance and perception that Title X funds being used in a given program may also be supporting that program’s abortion activities,” a document outlining the update outlines. “Even with the strictest accounting and charging of expenses, a shared facility greatly increases the risk of confusion and the likelihood that a violation of the Title X prohibition will occur,” it states. HHS has also proposed to eliminate a requirement under the Clinton administration that grantees provide referrals for abortions. “Similarly, Title X programs that subsidize other programs where abortion is a method of family planning, through infrastructure building, cost sharing, or otherwise, run afoul of the statute. Congress made clear that ‘none’ of the Title X funds should go to support such programs,” it outlines. As previously reported, the changes come after nearly 200 Congressmen signed on to letters asking that HHS amend the Title X regulations, specifically mentioning the abortion and contraception giant Planned Parenthood. Signees included Reps. Chris Smith, R-NJ; Bob Goodlatte, R-Va.; Dr. Larry Buschon, R-Ind. ; Barry Loudermilk, R-Ga., Dr. Neal Dunn, R-Fla.; Duncan Hunter, R-Calif.; Dr. Brad Wenstrup, R-Ohio; Claudia Tenney, R-NY; Diane Black, R-Tenn.; and Dr. Roger Marshall, R-Kan.; and Sens. James Lankford, R-Okla.; Tom Cotton, R-Ark. ; Dr. Michael Burgess, R-Texas; John Thune, R-SD; Dr. Bill Cassidy, R-La. ; Dr. Rand Paul, R-Ky.; Ben Sasse, R-Neb. ; Chuck Grassley, R-Iowa; John Barrasso, R-Wy. ; and Cindy Hyde-Smith, R-Miss. Read the letter from the House here and the letter from the Senate here. 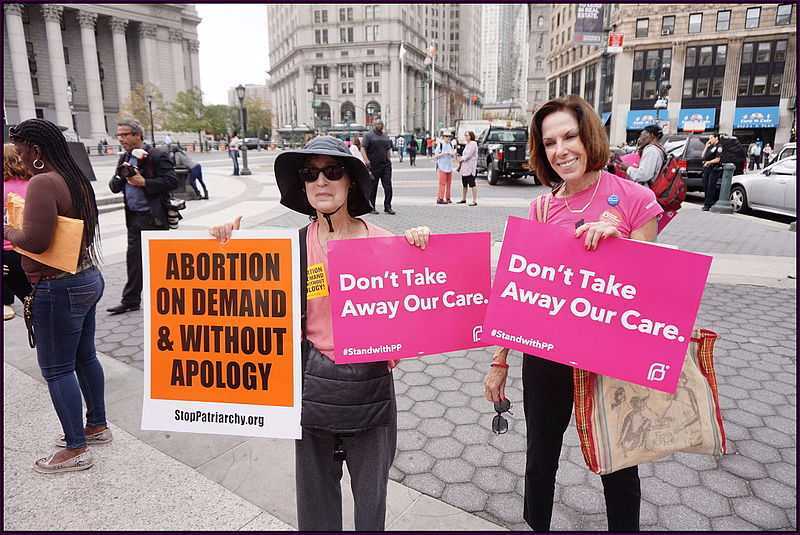 While many Planned Parenthood locations do offer drug-induced or surgical abortions, some only provide contraception, sexual transmitted disease (STD) testing and other non-abortion services. Therefore, it is unclear as to whether only certain Planned Parenthood locations would be affected by the amended Title X funding rules. Read the proposal memo in full here.